Nvidia has released their new Geforce 376.48 hotfix driver, which fixes issues experienced by [email protected] users and players of Just Cause 3, Battlefield 1 and Wargame: Red Dragon. 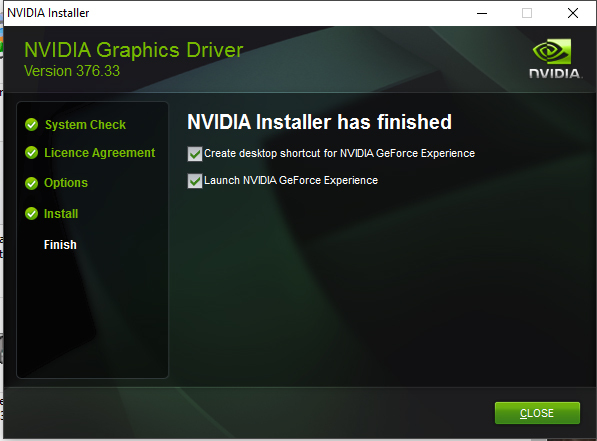 Read more on Nvidia's Geforce 376.48 hotfix driver. Want my advice! Steer clear! This is a Driver nightmare!!! 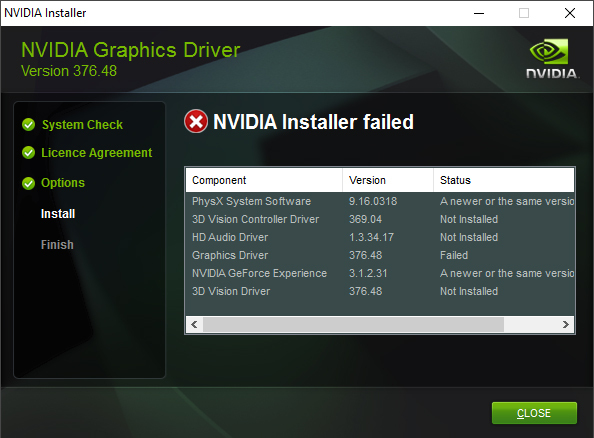 I can't even install any other drivers what so ever. Yeah I gave my old address in USA. We have lift off!! Only taken 3ish hours to fathom but it was a bad language filled roller coaster of a ride, my apologies to NVIDIA it wasn't their fault after all that accolade goes to Micro$oft and their wonderful ability to wreck your day with a single stupid update, which had re initialised the auto driver updates which cancelled out any attempts to manually install drivers. Anyway a few gpedit, and reg fixes here and there (again) and I'm good to go once more. Word of advice: When uninstalling GPU drivers, or any driver for this matter, that is already downloaded, disable internet connection completely(like remove wifi adapter, unplug ethernet, etc) and then uninstall, reboot, install fresh. Works every time for me. 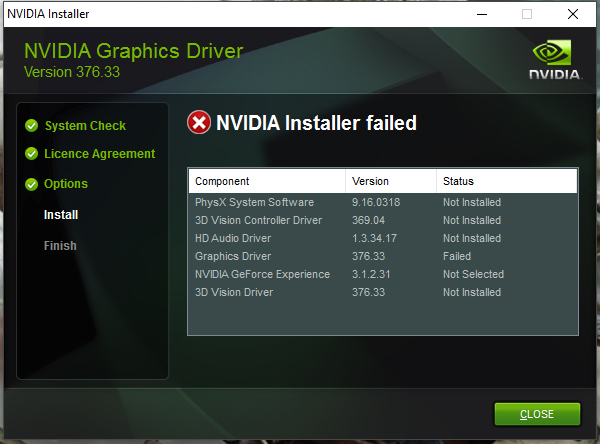 Helps to stop the Windows auto install of nvidia drivers. Surprised you have not done it this way all along? Also, not MS fault, it is smart. However for an advanced user, it does get in the way, but again 99% of people don't know the advanced route. So it benefits more than it hurts. I bet i will have no issue if i update to these drivers. Word of advice: When uninstalling GPU drivers, or any driver for this matter, that is already downloaded, disable internet connection completely(like remove wifi adapter, unplug ethernet, etc) and then uninstall, reboot, install fresh. Works every time for me. 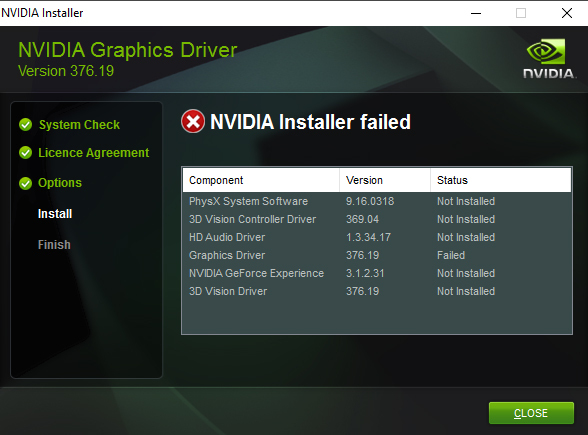 Helps to stop the Windows auto install of nvidia drivers. Surprised you have done it this way all along? Good plan. Thanks for the tip. It is M$ fault though, I spent hours removing features and disabling auto updates to make Win 10 "my own", but no! Micro$oft still somehow installed updates and buggered everything up without me even knowing.. had this Driver issue not arisen I wouldn't have noticed. I'm still trying to figure out how they installed updates even after my extensive efforts to stop this happening. The sooner I get Enterprise Edition the better.